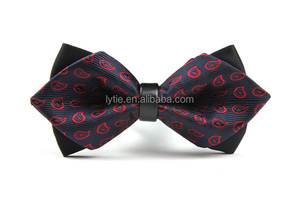 Fashion Mens Mens high quality decoration custom wholesale rhinestone bowtie 1.Fabric :Microfiber . 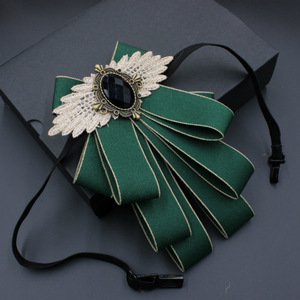 2.Price : Negotiable depend on the qty 3.MOQ: 160PCS/COLOR 4.Payment : TT advance or Paypal . 5.Packing : 1pc/polybag 1000pcs /ctn 6.Delivery: 20days Chose us no hesitate! 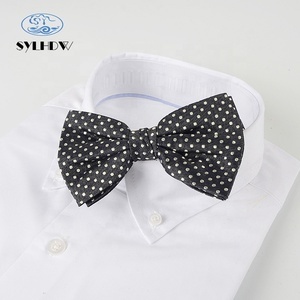 Shengzhou Shuangyu Garment Co., Ltd.
Shenzhen V&J Apparel Co., Ltd.
Q: What are your main markets 9 A: Currently we mainly export to American and Europe, East Aisa,etc. Q: Can I get a lower MOQ9 A: Yes, of course, we have ready stocks of many models for small MOQ wholesale and retail. Q: What is your payment term 9 A: 30% advanced deposit, balance against shipping, or copy of B/L. 5. We value and respect each guest, attach importance to each order. 3. Send E-sample or E- catalog or real sample to you for your selection. 5. send the counter sample by image or courier to you for your final confirmation. 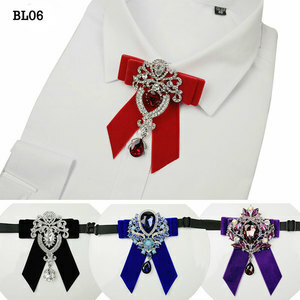 Alibaba.com offers 425 rhinestone bowtie products. 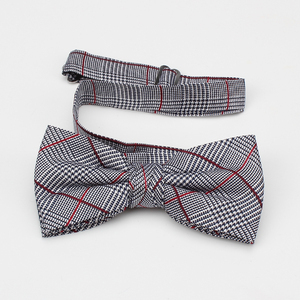 About 12% of these are bow ties, 1% are silk ties. 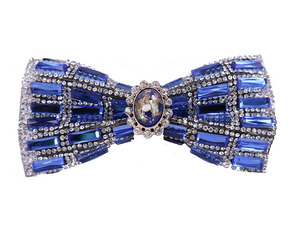 A wide variety of rhinestone bowtie options are available to you, such as plain dyed, embroidered, and printed. You can also choose from polyester, silk, and polyester/cotton. As well as from checked, dobby, and striped. 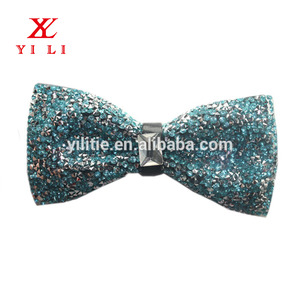 And whether rhinestone bowtie is free samples, or paid samples. 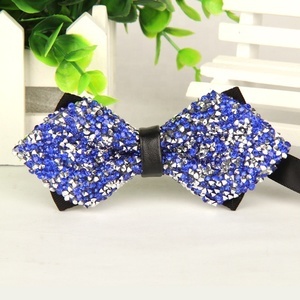 There are 344 rhinestone bowtie suppliers, mainly located in Asia. 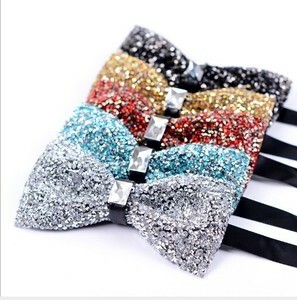 The top supplying countries are China (Mainland), Hong Kong, and United States, which supply 98%, 1%, and 1% of rhinestone bowtie respectively. 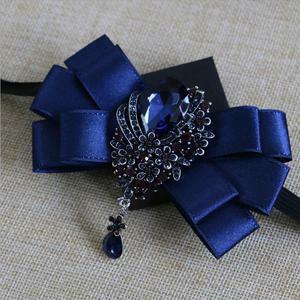 Rhinestone bowtie products are most popular in North America, Western Europe, and Eastern Europe. You can ensure product safety by selecting from certified suppliers, including 14 with Other, 7 with ISO9001, and 6 with BSCI certification.